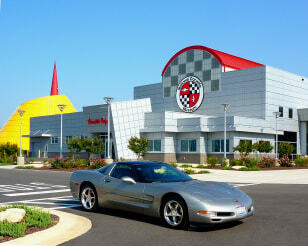 National Corvette Museum: Bowling Green, Ky.
Mullin Automotive Museum: Oxnard, Calif. The National Automobile Museum (The Harrah Collection): Reno, Nev. The Antique Automobile Club of America Museum: Hershey, Pa. Muscle Car City Museum: Punta Gorda, Fla. The Henry Ford: Dearborn, Mich.
Lane Motor Museum: Nashville, Tenn. Ten half-buried, graffiti-covered Cadillac cars make up Cadillac Ranch, an art installation that’s been on a highway near Amarillo, Texas, since 1974. America’s love affair with the horseless carriage may have more to do with style, speed, status and ingenuity than with actually getting from here to there. Or so you might conclude after seeing the Model Ts, Corvettes, concept models and other prized automobiles on display at car museums around the country. 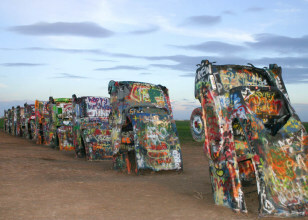 If you’re hitting the highway this summer, we found a dozen temples to transportation (such as the Cadillac Ranch near Amarillo, Texas, pictured) that are definitely worth a detour. Get a ticket: The National Corvette Museum in Bowling Green, Ky., is open daily and includes many interactive exhibits and a Corvette “nursery” where new Corvette owners can arrange delivery of their cars. Speedy, but designed for everyday use, this 1908 Stanley Steamer Model K used the same engine as the "Wogglebug" Special Racer that reached 127.66 mph at Ormond Beach, Fla., in 1906. Get a ticket: The Owls Head Transportation Museum is on Penobscot Bay in Maine’s Midcoast region. A good time to visit might be in mid-September, when the museum will be hosting a gathering of large construction vehicles at the Earth Movers & Shakers & Antique Aeroplane Show. 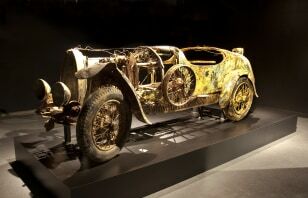 This Bugatti sat at the bottom of a lake for 73 years. Get a ticket: The new Mullin Automotive Museum in Oxnard, Calif., is currently open to the public one Saturday each month, and tickets must be purchased in advance. But don’t be shy: Museum officials say they’re willing to open the museum on other days by appointment. 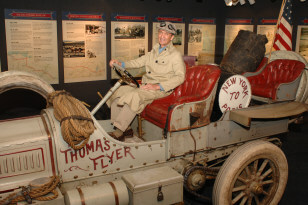 Jeff Mahl sits in the Thomas Flyer, the car his great-grandfather, George Shuster, was driving when crossed the finish line in the 1908 New York to Paris car race. More than 200 antique, vintage, classic and special interest cars are displayed in galleries and on themed “streets” inside this downtown Reno museum. Highlights of the collection include one of the oldest American-built automobiles, the 1892 Philion steam road carriage, and many other rare and one-of-a-kind automobiles, including cars once owned by Elvis Presley, James Dean, Frank Sinatra and other celebrities. The museum also displays the 1907 Thomas Flyer, the car that won the 22,000-mile New York to Paris race around the world in 1908. Get a ticket: The National Automobile Museum is open daily in downtown Reno. 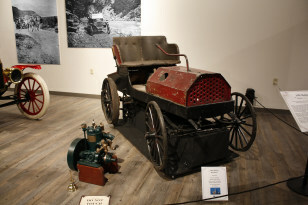 Through October 2010, the museum’s Motoring Tourist exhibit celebrates auto camping gear inspired by the National Park-to-Park Highway that connected 12 National Parks in the early 20th century. This two-seater from 1905 is not only the first car made in Alaska, it’s Alaska’s first car. Get a ticket: The Fountainhead Antique Auto Museum displays historic, auto-related photos and vintage clothing alongside its cars. Visitors can choose from a selection of period clothing to wear while posing for a photograph in one old car that sits in front of the museum’s Alaska roadhouse. This 1905 Cadillac is one of the treasures among eight decades of cars, buses and motorcycles displayed in this Smithsonian Institution-affiliated museum. A showcase for car memorabilia, automotive collectibles and special exhibits, the Antique Auto Museum in Hershey, Pa., displays eight decades of cars in themed settings ranging from an art deco hotel to a gas service station and a drive-in movie. In addition to 100 vintage cars, the museum displays motorcycles and is home to the Museum of Bus Transportation, which features 12 full-sized buses. Get a ticket: The Antique Automobile Club of America Museum is open year-round and houses a model train display and what the museum believes is the only “Alphabet Ford Collection” — Model T’s with letter designations — in existence. Corvettes lined up at the Muscle City Car Museum. Get a ticket: Located midway between Tampa and Naples, Fla., on the southwest Florida Gulf Coast, the Muscle Car City Museum is open Tuesday through Sunday, year-round. A free car show is held on the 3rd Saturday of each month. 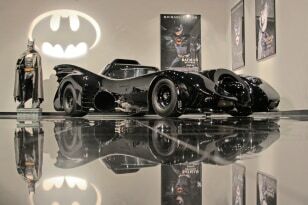 One of three studio-authorized reproductions of the Batmobile, the car driven by Batman (Michael Keaton) in "Batman "(1989) and "Batman Returns" (1992). Get a ticket: The Petersen Automotive Museum is open Tuesday through Sunday. An exhibition about cars and clothing, Automotivated: Streamlined Fashion and Automobiles, opens July 24th. Fantasies in Fiberglass run through Oct. 3 and features Corvettes, dune buggies and other custom and production cars made from fiberglass. 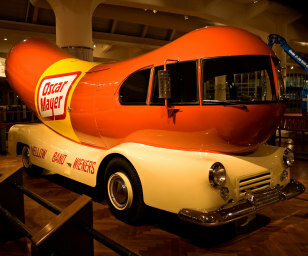 This giant hot-dog car, a rolling commercial for Oscar Mayer, is one of the cars at The Henry Ford in Dearborn, Mich.
Get a ticket: The Henry Ford in Dearborn, Mich., is open daily. A fun hands-on activity is the museum’s “Build a Model T” program: Visitors can grab a tool and help build a real Model T, which gets completed by the end of the day and disassembled by morning, so visitors can start building it again. 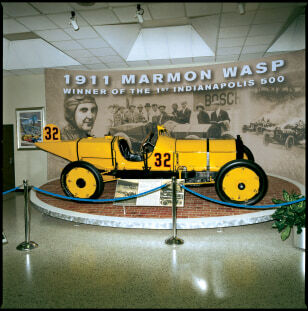 The Marmon "Wasp" won the inaugural Indianapolis 500 in 1911 with Ray Harroun at the wheel. The car was featured on a postage stamp in the U.S. Postal Service's Transportation Series. Get a ticket: The Indianapolis Motor Speedway Hall of Fame and Museum is open daily and is one of the many transportation-themed stops on the Indiana 500 Tour. This 1932 Peerless Prototype Touring Sedan was the last automobile produced by a Cleveland auto company. Part of the Western Reserve Historical Society in Cleveland, the Crawford Auto Aviation Museum owns 140 cars and 10 airplanes, as well as motorcycles, carriages, bicycles and other transportation-related artifacts. 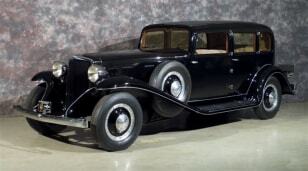 While the collection includes Model T Fords and modern-day Jaguars, there’s a special focus on Cleveland and Northeast Ohio-made cars, including what the museum considers it flagship automobile: the 1932 Peerless Prototype Touring Sedan. This one-of-a-kind luxury car was the last automobile produced by a Cleveland-based auto company and had doors that extended into the roof curve to allow hat-wearing passengers easy entry. Get a ticket: The Crawford Aviation Museum in Cleveland is open Tuesday through Saturday. In addition to the car and airplanes in the collection, the museum owns and displays Tinkerbelle, the small, hand-built boat Robert Manry successfully sailed from Falmouth, Maine, to Falmouth, England, in 1965. This two-headed Citroën Cogolin was designed by a French fire & rescue squad that wanted to avoid having to turn around on narrow mountain roads. Get a ticket: Nashville’s Lane Motor Museum is open daily and displays about 150 of its more than 300 cars and motorcycles at any one time. Ninety percent of the vehicles run and receive annual tune ups and oil changes. 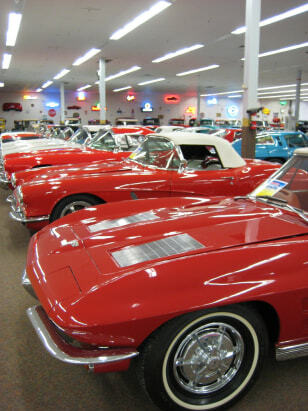 Do you have a favorite car museum? Tell us about it in the comments section below. 1937 Dubonnet Hispano-Suiza H-6C "Xenia"